Elon Musk’s SpaceX: A New Era of Commercial Space Exploration? 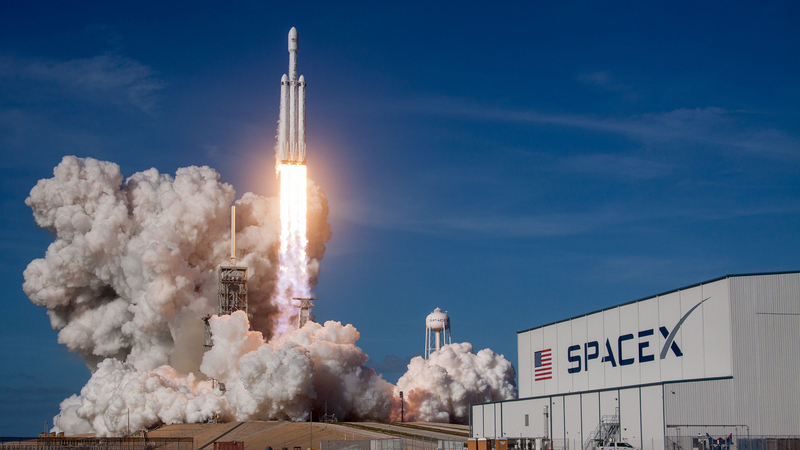 Elon Musk’s SpaceX stunned the world Tuesday with the successful launch of his Falcon Heavy rocket. Launched from the same pad where America’s moon rockets once blasted off, Musk’s latest and largest rocket to date could usher in a new era of commercial space exploration. The sight of the twin boosters from the rocket returning to Earth and landing back on their launch pads in a perfectly synchronized maneuver drew gasps and cheers from the watching crowd. A third rocket, the central booster, was supposed to land on a barge in the Atlantic but crashed into the water after some of the engines failed to ignite for the landing burn. Nevertheless, it is the reusability of these rockets that could really be a game-changer, according to Musk. For this test launch there was no scientific payload and Musk had put the chances of the rocket blowing up on the launch pad at 50-50. But the rocket did launch Musk’s old red Tesla roadster, complete with a “Starman” mannequin strapped in to the driver’s seat and David Bowie’s “Space Oddity” looping on the radio, into an elliptical orbit that should take it out to the asteroid belt. The car is expected to orbit the sun for millions, if not billions, of years. University of Chicago paleontologist and explainer of all things scientific Neil Shubin joins Phil Ponce to discuss Musk’s successful rocket launch and other stories that have caught our eye from the world of science. Oct. 25: University of Chicago paleontologist Neil Shubin returns for another review of stories making headlines in the world of science. Feb. 14, 2017: Neil Shubin has traveled the world in search of fossils to help better understand evolutionary origins. He tells us about his latest research on Earth’s southernmost continent. Corporate Space Race to Colonize Mars: Feasible or Fantasy? Oct. 10, 2016: Tech billionaire Elon Musk wants to create a colony on Mars. Assessing the challenges–and his chances of success.